There are few local building contractors that have the history and experience of Streetman Homes. 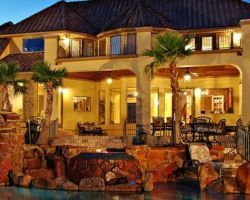 With 120 years of combined experience as a residential building company and luxury homebuilder, this company has helped thousands of families to build the homes of their dreams. From designing your new home to seeing it be brought to life by the most professional building team, this company will leave you in awe of how efficiently they work. They will have you in a brand new home and making memories with your family in no time. 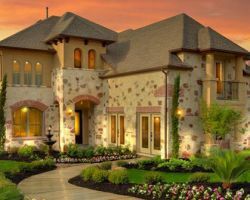 For over 17 years, Saldana Homes, LLC has been helping individuals, couples, and families in Texas build their dream homes. Maybe you have an odd architectural favorite style or would like to be especially involved in the design of the kitchen, you can be sure that this company will meet your home needs completely. They will work closely with you to ensure the home you are building and moving into is done at prices you can afford and in a style you will love. Ricky, the owner of Cantera Homebuilders began his career in the construction industry. After overseeing countless homes being built for another company, this building professional founded his own company so he could personally ensure the quality and craftsmanship of the work done under his name. As a manager and builder, the owner of this company and each member of the team is the very best at what they do. You will feel totally at ease with this team guiding you through the home design and building processes. 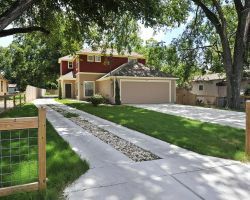 If you have made the decision to work with Austin custom homebuilders then chances are you have heard of Greater Austin Building & Remodeling. Though this company is not as in your face about their services as others, their reviews and reputation keep them at the forefront of the home building industry. Their process is totally transparent to potential customers, meaning you will be able to see exactly what would happen if you were to work with this company in a step by step way. Like many looking for a new home, you have probably spent countless hours looking at places in newspapers or even talking to realtors without seeing a home that you love. If that is the case the Eliot J Construction, LLC can actually help you build your dream home. These homebuilders in Austin, TX have been helping families in Texas design and build homes that they can build memories in. Their goal is to provide you with a quality home that you will love, and get you excited about the process.